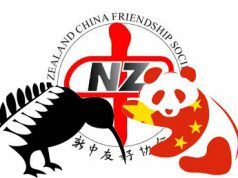 The Tauranga Branch of the New Zealand China Friendship Society is proud to be hosting the NZCFS National Conference and AGM for 2016. Please reserve 27 – 29 May in your diary. A full information pack and registration details will be available from 1st March 2016.
is the theme of the Conference! To download a PDF of this notice, please click here. The image is of the beautiful Mt. Maunganui, with Tauranga and its harbour behind.